In this episode, I talk for a few minutes about stuff that I don’t invest in and why that is. We discuss precious metals, individual stocks, actively managed mutual funds, currencies, bitcoin, starts-ups, commodities, options, and insurance. I share with you why I don’t invest in any of these alternatives. Some listener questions are also answered in this episode about what to do when your investments are boring, investing in taxable accounts, and what to do when you over fund your retirement account. You can listen to the podcast here or it is available via the traditional podcast outlets, ITunes, Overcast, Acast, Stitcher, Google Play. Or ask Alexa to play it for you. Or watch the video here or on YouTube. Enjoy! [00:00:19] This episode is sponsored by Bob Bhayani at Doctor Disability Quotes.com . 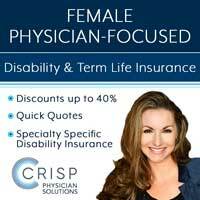 They are a truly independent provider of disability insurance planning solutions to the medical community nationwide. Bob specializes in working with residents and fellows early in their careers to set up sound financial and insurance strategies. Contact Bob today by email at [email protected] or by calling 973-771-9100. [00:02:12] Correction: Reservist retirement age is 60, not 65. [00:23:16] “I’m reading everything you’ve recommended for the past few weeks after it was recommended by my med school roommate. 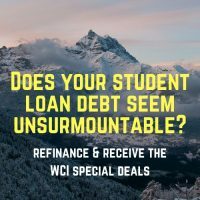 And it appears that I’ve made many mistakes that I need some guidance to rectify.” He is asking for tips and recommendations concerning retirement accounts, student loans, and his savings. [00:27:57] Be sure you stop by White Coat Investor Facebook Group if you haven’t joined yet. All high income professionals, but not financial professionals, are welcome. [00:00:19] Welcome back to the White Coat Investor podcast. This is episode number 70, Stuff I Don’t Invest In. This episode was sponsored by Bob Bhayani at doctor disability quotes dot com. 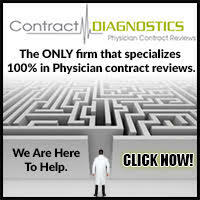 They are a truly independent provider of disability insurance planning solutions to the medical community nationwide. Bob specializes in working with residents and fellows early in their careers to set up sound financial and insurance strategies. Contact Bob today by email at info at Dr Disability quotes dot com or by calling 9 7 3 7 7 1 9 1 0 0. I had Bob on the phone just the other day, he is a great guy, and knows his stuff about insurance. I’ve had a lot of very happy white coat investors after they have met with him to take care of their disability and term life insurance needs. 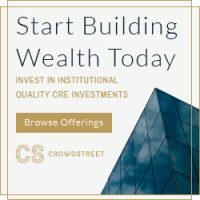 [00:01:04] If you haven’t had a chance yet, be sure to check out the white coat investors Facebook group. This is totally free to you. There are some minimal ads there that you’ll notice but there is a lot of great discussions going on there. So if you like getting your financial information through Facebook this is a great resource for you. There are already over 4000 members, maybe by the time you hear this there might be twice that many. But it’s really started off with a bang, with a lot of really great people in there. 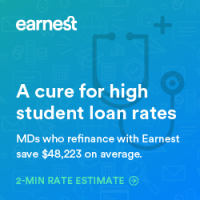 [00:01:30] Our quote of the day today comes from Morgan Housel who said a big enough bonus can convince even honest, law abiding finance worker selling garbage products that they’re doing good for their customers. And I think that’s really true. Boy have I run into a lot of people who are really peddling the lousy stuff that honestly do we believe they’re helping you. So don’t assume that because someone’s selling you something crummy that they are trying to scam you. They actually do believe they’re doing you a favor even if they really aren’t. [00:02:01] Thanks for what you do. I appreciate you. I know your patients do. Maybe not all of them but enough of them that it makes your time worthwhile for what you’re doing. So thank you for the sacrifices you have made. [00:02:12] I’ve got a correction to issue. Apparently, in a podcast I did a few weeks ago, I said the military reservist retirement age is age 65. That is not true. It is age 60. Your reserve retirement starts coming in at age 60. That’s obviously later than if your active duty in which case it starts kicking in as soon as you retire. You know typically after 20 years which could be as early as really 38 years old. But for reservists, it is age 60. [00:02:39] Today I thought I’d talk for a few minutes about stuff that I don’t invest in and talk with you about why that is. The first thing on my list that I want to talk about is precious metals. I get e-mails all the time from people asking, hey should I invest in gold? How should I invest in gold? How much should I invest in gold? And I usually tell them you know if you want to invest in precious metals with five or 10 percent of your portfolio. That’s fine. Knock yourself out. Go ahead and do it. But I don’t invest in precious metals and I’ll tell you the reason why. The reason why is I don’t expect much of a return out of them. If you look at the long term returns of gold and other precious metals you will see that they basically keep up with inflation and that’s it. If you go back hundreds of years you’ll see that an ounce of gold bought a man’s suit and today an ounce of gold basically buys a nice man’s suit. Whereas if that had been something like stocks or real estate it would be worth tons more than it originally was. But because it just keeps up the inflation that’s what you get. To make matters worse it’s extremely volatile. I track a number of investments in my monthly newsletter. If you’ll look at that you’ll notice that perhaps the most volatile of those investments is silver. It goes up and down by 10 or 15 percent every month. It’s just something that people use to speculate and I’m not really interested in speculating. I’m not interested in short term returns. I’m not interested in trying to trade in and out of a market to try to make a buck. I’m looking for long term investments that are going to make me money and precious metals do not qualify in that category. Now you want to limit it to a small portion of your portfolio. I think that’s fine. I think there are obviously times where the return is better than average. Just like there are times when you lose a lot of money in precious metals. So that is why I don’t invest in those. [00:04:36] Next thing I don’t invest in is individual stocks. In fact, I don’t think I’ve ever owned an individual stock. I have no interest in researching Facebook and watching it drop 20 percent based on the fact that some investor doesn’t like Mark Zuckerberg. I really don’t care. I have better things to do than research among the 5000 publicly traded stocks in the country. If I felt like I had to do that to have a successful retirement maybe I’d be more interested in it. But all the data shows that those who buy individual stocks are taking on an uncompensated risk. Sometimes they get lucky and come out ahead. But most of the time they do not, even if they’re professionals. And they end up underperforming the strategy of just buying all the stocks which is basically investing in low cost broadly diversified index funds. So that’s what I do. I buy all the stocks. I own them all. I own Facebook. I own Amazon. I own Netflix, you name it, I own it. I owned it before it got big. But that’s because I buy it through an index fund. [00:05:38] Next category of things I don’t invest in, actively managed mutual funds. Now that’s not entirely true. Sometimes I own a very minimally actively managed mutual fund. For example, some of the Vanguard bond funds technically are not index funds, they are actively managed. But they basically just capture the market return for that particular market. And so they basically act as closet index funds. Again at very low cost. But I’m not going out there trying to find mutual fund managers that I think are going to outperform an index fund that invests in the same investments that they invest in. I just think it’s a loser’s game and I think over 20 or 30 years your chances of doing it are less than 10 to 20 percent. I would much rather take the guarantee of beating 80 percent of the mutual funds out there by investing in an index fund over my time horizon than take a gamble on trying to get you know the top fifth or top 10 of mutual funds that may luckily outperform an index fund. [00:06:37] Here’s another thing I don’t invest in I don’t invest in currencies. I don’t buy yen, I don’t try to understand the foreign exchange markets. I don’t buy Euros. I don’t try to speculate on Greek drachmas or whatever they use in Greece. I just have no interest in it number one and number two I look at it as basically a zero sum game before expenses. In the long run I don’t expect one currency to outperform other currencies. I expect them to go back and forth at times one will outperform, other times another will outperform and it’ll go back and forth and over the long run I expect them to basically equal each other out. Of course if you’re trying to invest in them you’re going to incur costs. And so if it’s a zero sum game before cost, it’s a negative sum game after costs. And I’m not really interested in playing negative sum games. [00:07:29] I extend this into the cryptocurrency space. You know when we were talking about Bitcoin and its hundreds of competitors. This is not something that I am interested in investing in. Number one it has a lot of the signs of a bubble as you saw at the beginning of 2018 when the bitcoin bubble basically burst. I mean it was a classic bubble. It is like you read about in books, it was very impressive. But even now that that bubble has burst I still don’t know where it’s going. It could be going to zero for all I know. But the nice thing about investing is there are no called strikes. You don’t have to invest in everything. So if you don’t understand something, if you don’t really think something’s likely to do well. If you don’t want to speculate on stuff, if you don’t want something that’s particularly volatile, you don’t have to invest in it. There’s plenty of other great investments that you don’t have to use the ones that you’re not a believer in. [00:08:20] Here’s something else I don’t invest in, I don’t invest in startups. I’m not an angel investor. You know some of these guys say well you know I invest in 20 or 30 of these and I get the one home run out of the bunch and that makes up for the losses in all the other ones. Well the data is not actually very good that you have a positive expected return as an angel investor. So if you’ve got a lot of money to throw away and that’s really your hobby, to go out and find startups and meet with startup starters, knock yourself out. You know just realize it’s probably a very expensive hobby because you’re probably losing money on it. Not to mention it takes an incredible amount of effort to do it well. [00:08:59] Here’s something else I don’t invest and I don’t invest in commodities. All right I don’t go out and buy a bunch of oil futures. I don’t go out and buy a bunch of pork bellies and wheat futures or whatever else you can invest in as far as commodities. It’s not a market I understand particularly well. I don’t see a very positive expected return in that market. And likewise, I just ask myself why? Why complicate my portfolio anymore? It’s complicated enough as it is and I haven’t been convinced that adding any sort of commodities including commodity futures fund is particularly wise for my style of buy and hold investing. [00:09:37] Something else I don’t invest in invest in: options. That’s not entirely true. My first investment was actually an option. My father came to me when I was, I don’t know 10 or 12 years old, and said Hey my buddy says we should buy these and we can make a lot of money in a short period of time. And so we put some money into some options and he convinced me to go along with 500 dollars of my money. That was money that I’d gotten from the Alaska Permanent Fund dividend or something, that’s the only way I could have come into that sum of money. Needless to say a few weeks later we both lost the entire investment. We lost it all. And you know that’s just the way options work, it shouldn’t have been a surprise to us. But that was literally our only investment at the time. We put everything into options on some stock or something. And it expired worthless. So it’s not that I was particularly burned on that, that I don’t invest in options. I just don’t see any point to it for me. Number one I think there’s a lot of very talented options traders out there that are likely going to take advantage of me knowing less than they do. And I think that’s probably not a good place for me to be where I’m in a market with a lot of people that know a lot more about it than I do. [00:10:44] But secondly options are basically like buying insurance policies on the value of an investment. The expected return on it is zero. And after expenses the expected return is negative. I mean you’re basically using it to hedge something to make a bet. And I’m not really interested in making bets. Gambling is not the reason I invest. [00:11:07] Something else I don’t invest in, at least not anymore, is insurance. I find the investing proposition made by insurance companies, You know I’m talking about whole life insurance and variable universal life insurance and other types of universal life insurance, to not be very good bets. I mean if I got to tie my money up for the rest of my life and then I expect returns in the two to five percent range that’s not very attractive to me especially when they’re negative for the first decade. So basically, since I got rid of the whole life insurance policy I was sold as a medical student, have decided not to invest in insurance and maybe somewhere down the line I’ll have some estate planning reason to buy an insurance policy I don’t know. But for now that is not something that I invest in or plan to invest in anytime soon. [00:11:55] I basically invest in boring old index funds and real estate. That’s what I invest in. You know a lot of people think investing is a lot like gambling. You know they referred even to the stock market as oh you’re just gambling your money in there. But I think investing is significantly different from gambling. For example in investing, you have a positive expected return. You actually expect to make money which is not the case for gambling. In gambling the house makes money. They’re the ones who have the guarantee over the long run of making money. The people in there rolling the dice, playing craps, or playing cards do not have an expected positive return at least on average. And so that’s one difference between gambling and investing. Also I meet a lot of people who are looking for fun. They find investing to be boring and they’re looking for a little excitement in their life. I’ll tell you what, go get your excitement somewhere else. I got an e-mail today from a doc who does base jumping. You want excitement in your life? Go jump off a 400 foot cliffs with a parachute. That would be exciting for you. But I just have way more fun hobbies than investing. Investing is not that fun of a hobby. So if this is your hobby and you feel like well now I’ve learned a bunch of stuff about it, what am I going to do now? And you find yourself reaching for options and individual stocks and Bitcoin. Well you’ve probably carried it a little too far and you need to find a more fun hobby. [00:13:18] When I’m buying shares of stock I am buying real businesses with real profits. 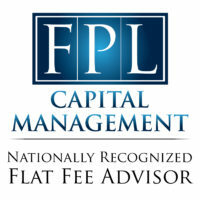 It’s not a paper investment like the real estate investors like to call it. It is not some sort of throwaway thing. When you buy a share of Amazon your own a share of those profits that Amazon makes. And every time people go online and buy something from Amazon and Amazon makes money some of that money is yours. And that’s a real live business that’s making real life money not some gambling thing. [00:13:50] All right let’s get into some questions the first one kind of deals with the subject I’ve been addressing in this blog or this podcast so far. I’m a somewhat new attending a couple of years into practice. I’m doing all the right things financially and I am bored. Yes I know that’s good. This is a first world problem. I know a little about investing. I basically read your site and Bogleheads. I go on the evidence based stuff, maxed out every tax protected account, contribute at least 20 percent index funds closer to 30 percent recently with increasing income. I’ve got my mortgage and student loans at a good low rate and set for a reasonable payoff, 14 years in the House and four on the loans. I’ve got Term life and disability insurance and can coast on this formula to retirement. [00:14:34] I think it would be more fun to have a small percentage in a more active and or risky investment. I’m in my early 30s I have lots of time. I’ll never be contributing less than 20 percent to the good formula for retirement. I’d like to put one to five percent of my income into something fun. How do you learn about investing in new startups? Are their resources to get into such investing? What the heck is crowdfunding? Where do you find out how to do that? Is real estate a safer but more active and risky venture? I would really like to add a small chunk of my portfolio that has some higher risk in return. I’ve helped kickstart a couple of sweet video games but all I got out of it was the game for free when they launched and I’d like a little more skin in the game maybe the chance for a higher payoff. What do you think? [00:15:15] Well I think being bored with your investments is a good thing. Then you can go focus on the other things in your life that matter more than investing. I mean investing just should not be the most important thing in your life, particularly after you win the game. You know once you’re financially independent how much time do you really want to spend on just maintaining financial independence? It’s not particularly fun. So let’s talk about this a little bit. This is a doc that’s saving enough for retirement into smart investments. So truly he can throw away that 1 the 5 percent that he’s talking about investing on other stuff. I mean if he wants to blow it on a wake boat. Fine. If he wants to blow it on angel investments? Fine. You know knock yourself out. As long as you’re saving enough. It’s up to you what you want to use your money for. But I think let’s answer a few of the questions. [00:16:00] First how do you learn about investing in new startups? One of the best places to go is to some meetings in your town among startup investors, among you know entrepreneurs, and just start doing some networking. And you’d be surprised how many people are out there looking for money for their startups. It might not be wise to invest in them but there’s plenty of startups to invest in all the time in most towns of any significant size. [00:16:25] Are there resources to get into such investing? I’m sure there are resources out there. I don’t really invest in them particularly so I’m not terribly familiar with the resources. So I cannot vouch to which ones are the best ones and whether they’ll lead you astray or not. [00:16:39] His next question was what the heck is crowdfunding and where do you find out how to do that? Well crowdfunding refers to a bunch of people putting the money together to buy one thing you know. I mean technically the stock market’s crowdfunding right. I mean a bunch of people that own Amazon or a bunch of people that own facebook. I mean that’s crowdfunding at its best right. But I think what people are usually referring to these days is crowdfunded real estate. 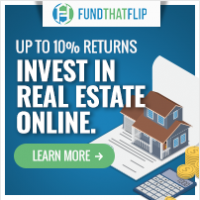 We’re talking about going through these Web sites, like some of my web site sponsors, like realty shares and Realty Mogul and equity multiple and these kinds of sites and going in there and buying real estate with dozens of other investors. You know it’s a form of syndicated real estate ownership were you just own a small piece of it. And you can spend as little as five thousand dollars on an investment and that can either be on the debt side where you’re lending money to a house flipper or it can be on an equity side where you get your share of the rents and the appreciation and depreciation and all those kinds of problems or all those kinds of benefits rather. But you know it’s pretty easy to go to these crowdfunding websites. 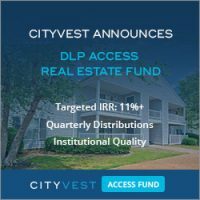 You do have to be an accredited investor. 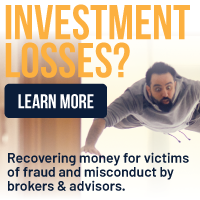 But it sounds like this doc is an accredited investor and that’s a good way to get your toe wet in real estate investing and maybe some of these little bit more risky investments. I do have some crowdfunded investments and they’ve treated me well. I’ve gotten nice returns out of them and expect to continue to get some more. [00:18:00] Is real estate a safer but more active and risky venture? Yes I think that’s a good description of it. It can be both safer and more risky. The thing about real estate is the market is not nearly as efficient as the stock market is. And so I think there’s room there for somebody who knows what they’re doing to add value to the investment. You know even if you’re just buying the house down the street, renting it out, if you’re particularly good at finding deals, at managing properties, and knowing when to sell them, at managing tenants, you can really add a lot of value to an investment. Conversely if you’re not good at it you can subtract a lot of value from an investment. So just realize that that street works both ways. But for someone who really wants to be more active maybe increase the returns a little bit. I think real estate is a great way to go. I’m not sure kickstarting new video games is a particularly profitable investment though I’ve never really done that and I don’t plan to. [00:18:58] All right next question I just graduated from residency and I’m looking into where to invest at least 20 percent this year. I plan to max out my 4O3b and do a backdoor Roth. I remember you had a post within the last six months about other places to invest after you’ve maxed these out but have been unable to find it when searching the blog. Just wondering if you remember this post and could send me a link. I mean the bottom line is once you’ve maxed out your retirement accounts and you want to save more for retirement you gotta invest in a taxable account. It’s ok, it’s not that bad. A non-qualified or taxable or brokerage account is a perfectly fine place to invest and in fact many people particularly those interested in early retirement do. It makes up the majority of their investments. There are a lot of nice things about it. One you can invest in anything you like. You can use leverage. The rules aren’t nearly as strict as in a retirement account and you can spend the money on anything you like which is great. There’s few other benefits. For example you can donate appreciated shares to charity. Not only do you get the deduction for the donation but you also don’t have to pay the capital gains taxes and neither does the charity. You can also do tax loss harvesting with assets in a taxable account that can lower your taxes as you go along. So there’s lots of things about a taxable account. Don’t be afraid to invest in it. I mean don’t invest in it before you’ve maxed out your retirement accounts. But don’t be afraid of it. But that’s the main thing you can do once you’ve maxed out other accounts including your Backdoor Roth IRA and your HSA. [00:20:24] All right next question. In December 2017 I contributed to an individual 401 K which is my first time doing so. My accountant was preparing taxes in the spring he noted that I actually had overfunded the account based on my income and suggested that I contact the brokerage which was fidelity and have them recharacterize the access to the 2018 tax year. I went to the brokerage to ask that they do that and got a basic response: we’re too busy to deal with you but will write a letter on your behalf. I got a call a month later that the information the letter contained was incorrect although written by an employee of the brokerage. I went in to solve this issue and was told I needed to fill out a form and pay a 10 percent penalty on the excess. The accountant says that because we reported the correct amount to the IRS the form is not necessary and he’s planning on reporting it as excess as a 2018 contribution on next year’s taxes. I’m frustrated with Fidelity because they told me something different every time I speak with them and am contemplating switching to Vanguard, Ameritrade or E-Trade. I’ve also contemplated opening a totally new 401k for 2018 to keep everything separate. What do you recommend? [00:21:28] Well this sort of thing can happen all the time. I’m always amazed by people that have an accountant they are paying to help them with their taxes and then they don’t call up the accountant when they have a tax related question. I mean if I had an accountant I’d call the accountant up and say hey how much can I put in my individual 401K? That’s what you’re paying him for. Right. To answer questions like that for you. Or people that have a financial adviser and then shoot me emails you know asking questions. Why would you hire some yahoo on the Internet if you’ve got a financial adviser that you’re paying 1 percent of your assets to every year. Ask the financial adviser. That’s what you’re paying them for. [00:22:04] So in this case I think the accountant is right. And I would go with the accountant. But that’s not unusual for one of these mutual fund or brokerage companies to screw something up. That happens all the time and I don’t know that it is any more likely with Fidelity or Vanguard or Ameritrade or E-Trade. I don’t think I’d switch company based on one screw up. Maybe they keep screwing things up I’d change. But you know Fidelity enjoys a pretty good reputation for customer service and so I don’t know that this would have been any different anywhere else. Just get it corrected for this year. By following the directions of your accountant not some yahoo on the phone at fidelity and then move on and ask the accountant next year to make sure you’re putting the right amount in there. Remember with the employee contribution you have until a little bit of time after the first of the year and with the employer contribution you have until you basically file your taxes the next year. So there’s plenty of time to talk to your accountant about how much to put in there if you’re not exactly sure. I know this year with my partnership 401k I wasn’t sure I was going to make enough at the Partnership to actually max it out. So I haven’t actually maxed it out yet this year I’ve left a little bit of space that I can wait to see how much money I make. To see if I’ll be able to max it out this year. [00:23:16] Next question. I’m out of residency for a couple of years. I’m a child psychiatrist. I’m reading everything you’ve recommended for the past few weeks after it was recommended by my med school roommate. Thank you to that med school roommate by the way you’ve done somebody a huge favor. Honestly, I can’t thank you enough for everything because I had no clue about savings or how to go about it. I was just totally lost. And it appears that I’ve made many mistakes that I need some guidance to rectify. Well, that’s not unusual. 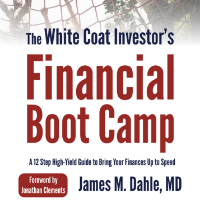 Most people once they found the white coat investor realize that they have made quite a few mistakes. I am both an employee at the hospital and have my own LLC that is an S corp, files as an S corp, and this is what I’ve established in the last couple of months. With my 401k my employer pays up to 11 percent and sounds like also provides a match 50 cents on the dollar so that’s great. They also provide some stock options that I’m maximizing that is about 500 dollars a paycheck and I’ve set up a SEP IRA through my LLC that I’m putting some money into and also have an individual stock account. I plan to put as much as possible once I close on a house into those accounts. I’ve got 50 percent of my money in S&P 500, 20 percent in midcaps, 10 percent in small caps, 10 percent in international, and 10 percent in bonds. Okay, that’s not a crazy asset allocation. An aggressive one but not crazy. 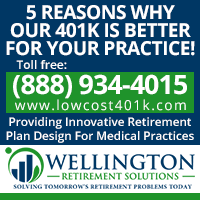 [00:24:42] I don’t like the fact that you’re using a SEP IRA instead of an individual 401k individual. 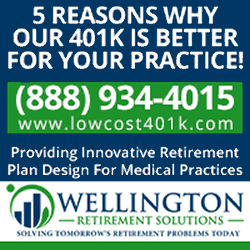 Individual 401K allows you to do Backdoor Roth IRAs as well where a SEP Ira does not. So this doc is almost surely going to want to set up a Solo 401k or an individual 401k, same thing, and roll that SEP IRA money in there as part of getting all this mess straight. He says I’m closing on a nine hundred thousand to a million dollar house in the next two months with a 30 year fixed mortgage. I’m now wishing I’d bought a house half this price after learning what I’ve learned the past few weeks. Well I guess it’s not too late to get out. Now you can always give up your earnest money. I hope you haven’t put too much of a down. I suspect the doc is going to go ahead and buy the house though. I’ll be setting up 529s for my two children once I close on the home. Yes assuming you have any money after paying their mortgage. [00:25:37] I do have loans of about a hundred fifty thousand dollars still for myself and my partner that we are paying at 4 percent. We are reasonable spenders, save about a hundred thousand dollars a year. Well that’s good. [00:25:49] That’s actually a pretty good amount of savings given their two professions. He is just asking for any tips, recommendations from the above mentioned issues. We want financial flexibility, we’re willing to save a lot more than we have been but are now dedicating a lot of time to understanding the stuff. 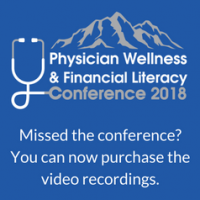 [00:26:07] Well this is awesome because this doc is becoming financially literate. He feels like it’s too late but it’s not. It’s never too late. He’s very early on. I kind of wish he’d found it a few weeks before put an offer down in that house because a big house especially a million dollar house as a psychiatrist it’s a pretty big rock in your life. But you know better now than later. Can you recover from that? Probably. I mean it depends on how much money they make together and how much they save. But I suspect his goal to be saving a lot more money than he is now is going to be not as easy as he thinks it will be once he’s paying for the mortgage and insuring a million dollar house. That can really eat into your ability to save a lot of money. 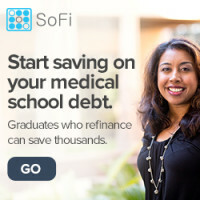 [00:26:54] I guess I’d also like to see him maybe refinancing his loans and paying them off quickly. 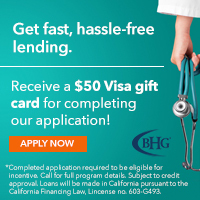 I mean a hundred fifty thousand dollars certainly isn’t the hugest loan burden we’ve heard about on here but it is something that requires cashflow to meet each month. 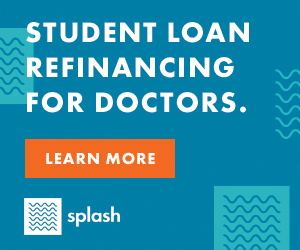 And I think getting rid of your student loans within the first two to five years out of residency is going to make you happier than dragging that out for a long time even at 4 percent. So I think this docs doing well there’s a few minor tweaks that can be done. [00:27:21] Maybe they want to back out of that home purchase that’ll be up to him. But you know it may not be compatible with their financial goals once they look at them carefully. [00:27:31] This episode was sponsored by Bob Bhayani at doctor disability quotes dot com. 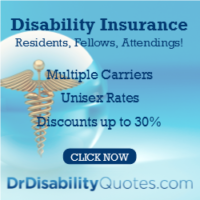 They are a truly independent provider of disability insurance plans and solutions to the medical community nationwide. Bob specializes in working with residents and fellows early in their careers to set up sound financial and insurance strategies. Contact Bob today by email at info at Dr disability quotes dot com or by calling 9 7 3 7 7 1 9 1 0 0 . [00:27:57] Be sure you stop by our Facebook group if you haven’t joined yet please do so. All high income professionals but not financial professionals are welcome. Head up shoulders back. You’ve got this. We can help us see you next time on the white coat investor podcast. [00:28:11] My dad, your host, Dr. Dahle is a practicing emergency physician, blogger, author, and podcasters. He’s not a licensed accountant, attorney, or financial advisor. So this podcast is for your entertainment and Information only and should not be considered official, personalized financial advice. Here’s a topic I’ve been thinking a lot about lately that I haven’t seen addressed here. What do you think about purchasing some of these things not as investments, but as imperfect forms of insurance against ruin? I’ve been reading a lot of John T Reed; got into him through your review of his real estate book. He writes really interesting things about lots of other stuff too, including hyperinflation. In his book about this (_How to Protect Your Life Savings From…_), he points out that if hyperinflation occurred in the US, very bad things would happen to all our retirement accounts and any other cash-based assets we own. Similarly to how I view my disability insurance, the exact probability of hyperinflation happening to us doesn’t really matter to me. What matters to me in this case is the high risk of ruin that would result to Bogleheads-type investors who have not hedged a bit. Buying rental real estate is a great hedge against hyperinflation! So is buying everything you’ll ever need in the future now. Cuban mentioned that in an interview – said something like – go buy years worth of toothpaste – another billionaire out of touch, but I guess he has a point. It really varies a lot, I’ve been surprised. For a long time I was almost completely tax-protected but now I’m majority taxable. Only disagreement I would have is the aversion to owning stocks and maybe the real estate part. Not a big fan of funds, even index funds have fees, and especially not in taxable accounts where you are assessed capital gains taxes without seeing actual cash. You mention not wanting to spend time on your investments but if you own real estate, especially rentals, you’re spending a lot of time on that and/or paying management fees, etc. There’s also good evidence investing in REITs out performs actual real estate and REITs don’t call you with clogged toilets and A/C outages. 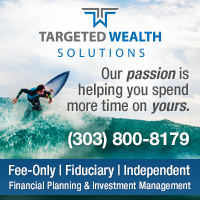 It’s also fairly simple to keep up with stocks, there are various inexpensive newsletters that do the work for you and stocks have zero fees for holding them, in addition qualified dividends are taxed at lower rates. You can also simply follow what Warren Buffet is buying and selling; his track record in stocks is quite good. 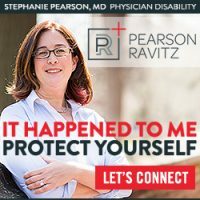 I enjoy the blogs and podcasts, keep up the good work- so many need the advice and information. As with everything, these are personal decisions; however, the aversion to individual stocks seems a little extreme. I will also add a link to some of the options strategies Warren Buffett has used. 1. Individual stocks require time, some effort and upkeep; however, if you have good knowledge of an industry (we certainly do of medicine, pharma etc . . . and may of other industries), there is no reason you cannot pick a few great companies with a wide moat and wait to buy them low. This is how Ben Graham and subsequently Buffett made it. It is easier to buy a single company you understand low than the whole market. This can be a good path to wealth creation. Obviously it carries some risk. 2. Buffett tells everyone to just put 90% in the SP 500 and be happy, but that isn’t what he does. He buys great companies at low prices and holds them forever. Coca cola, GEICO, Washington Post, Sees Candies, you name it . . . .
3. Buying options to hedge a position is insurance and it costs you, as does buying calls to get a stock if it goes up cheaper; however, selling options on stocks you own (covered calls) and want to sell or selling puts on stocks you want to buy cheaper can be a reasonable strategy. Buffett did this with something like 50K shares of coca cola 25 years ago and it lowered his cost basis by 2% on a 4 million dollar investment and he made 8 million dollars in fees from selling the puts! I’d say that is a trade most of us would like to make if we had the funds. The bottom line is that you need to understand what you are doing. If you don’t it’s gonna be ugly. It can still be ugly if you do. If you don’t want to spend any time on this and want to get the market return, then by all means a low cost index fund will beat 80-90% of the folks out there, including the pros. If you want to try and beat the market, which can be done, it requires some of these other strategies. 1) If you can pick stocks well enough to beat an index fund reliably over the long run why do it just for yourself? You should do it for thousands of others and make a killing. Ben Graham says buy index funds. Warren Buffett says buy index funds. I suggest you take their advice. 2) You’re not Warren Buffett. Warren Buffett also puts himself on the boards of companies he buys. You can’t do that. 3) I agree you need to understand what you are doing. I also agree that a guaranteed beating of 90% of investors with little time and effort is a very attractive proposition. It would be a great side hustle, but nobody likes my fees! Net of those they’re better off in T-bills! Always interested to hear people quote Warren or other Billionaires. A friend of mine always comments that Attendings who are 10+ years out from residency call young Attendings complainers, but when your not 1.0 FTE clinical you forget what its like. I think Billionaires lose perspective. Totally agree – WB made his money buying co’s and controlling them. He bought Geico and used premium float to buy more companies. Easy for him to look in rear view and tell people what to do. Why not do what he actually did- buy companies and control them! I agree. You should go buy companies and control them with your billions of assets under management. Driving car by looking solely in rear view is recipe for disaster! Continuing the analogy – there is a reason windshield is large and rear view is small! The ‘renter’ economy will leave many without accumulation of capital. – And stock price is based on a multiple and future is taken into account, no? Use smaller sums to enhance skills to multiply your income – throwing 10k in a fund etc with inflation tax deferred or not – its still not much money. Owning Amazon stock absolutely is owning a piece of their future profits (and losses if that occurs.) What do you think stock is if not ownership? Yes its a business and you are betting / wagering / gambling that someone will pay you more for the piece you buy at a later date. The price is set based on future expectations and future performance. I understand what you were getting at – yes you own a piece of the company, but at what price? You have almost zero control over the outcome. You’re certainly gambling – it might not be roulette – one spin and you lose your wager, but you are placing a bet that someone in the future will pay you more for the piece of the company you bought. In what way is that different from buying a property? You certainly are not 100% in control of what that property will be worth in ten years. Both provide income. You are not in control of how much income that will be in any given year. It’s all a tradeoff between control, hassle, and diversification. The more control you want, the more hassle you’ll have and the less diversification you’ll end up with. 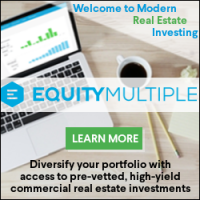 Multifam properties – you certainly control what it’s worth by raising rents – you know this WCI – those properties (over 5 units) are valued based on the income they generate. So a single family home (SFM) is dependent on market forces, but a larger multi-unit – you influence its value. I have no influence on price or gold, crypto, SFM’s, Bonds or stocks. I’ll take the hassle and pay a manager 5% to reduce the headache on my end. Anyway – its my investment of choice and not a great fan of diversification. I mas out 401/457/403b/529/ back door roth etc then its all real estate! 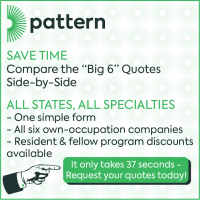 Know a specialty and stick with it! You can raise them, but that doesn’t mean you can get the higher rent. There is a market for rentals and if you charge too much, your vacancy rate will rise. Just like Apple can’t charge $10K for an iPhone. No problem with your approach by the way, so don’t take the pushback the wrong way. 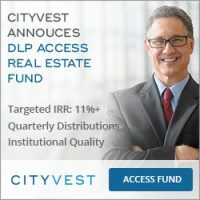 WCI, I get that you bin your website investments with your real estate portfolio for tracking purposes, but I don’t follow your logic in saying that you do not invest in start-ups or individual stocks. Isn’t that what you have done in buying a ownership share of POF and PIMD? Nothing wrong with it; in fact based on your last update these companies have performed well for you. I guess I am asking why you don’t consider ownership shares in a “new” website to be a start-up or stock ownership? I don’t invest in start-ups that I don’t personally have a major influence on and understanding of and personally know all of the other owners. That better? I see that as being far different from buying shares of Exxon or some new device company started by some doc in Florida (got that email yesterday) with 15% of my portfolio. Sure. They are your investments and obviously you can have whatever criteria you want to buy them. But the investments in PIMD and POF are not conceptually different than the new device company in Florida. There is a better argument to be made that they are different from Exxon, but only because Exxon is an established company and the risks of stock ownership are different than a start-up. Even then I would say in principle the investments are the same. That is, your WCI network companies are in fact start-ups that you choose to own in expectation of a return. The difference in practice is that you know them well, understand the business, and can add value. All terrific reasons to own those particular companies. But it is still direct stock ownership. As for me, I will stick with index funds and a few rental properties, because I have proven to my satisfaction that I cannot pick individual stocks successfully, but I can buy and manage positive cash flow properties. I think the edge I have with PIMD/POF is impossible for you to replicate with any publicly traded stock. If you start and run a great company, that is the best route to amassing wealth; however, most people that start companies fail and most companies that succeed aren’t great. If you buy an ownership stake in a great company, that is well managed, especially if you buy it at a favorable price and do not overpay (which is what Buffett has done), that is also a good route to amassing wealth. Picking those companies, knowing who is and isn’t well managed and knowing if the price you are paying is low, just right or high is very very hard. That being said, if you can do that, you can also build wealth that way. I mention Buffett only because he is literally the greatest investor ever, he happens to be alive while we are and he tells everyone how to do all of these things. Not that any of it is easy and not that anyone can replicate him, but trying to emulate what he has done could allow you to get better than average returns on your investments. Put another way: what’s the harm in trying to emulate him? The only other comment I would have is that Buffett generally has identified great companies, with excellent management teams and when Berkshire acquires those companies, he continues to let them be run by their existing management. He isn’t a private equity guy or Carl Icahn: he finds great companies that the market is mis-pricing and he buys them low. He has exploited the tax laws, especially the estate tax laws, greatly to his advantage as well. Certainly having GEICO’s float has been quite a coup as well. The harm is achieving below market returns when you fail to emulate him (or even emulate what he has done the last 10-15 years.) This is especially tragic given the ease of getting market returns. The best part about podcasting with show notes is you can be criticized not only on your spelling and grammar but also your pronunciation. I dunno, I’ve used both interchangeably my whole lie, perhaps wrongly.